BSNL has introduced two new tariff plans priced at Rs 319 and Rs 99. With these voice-only prepaid plans, BSNL is offering unlimited voice calls without any limit for the users. 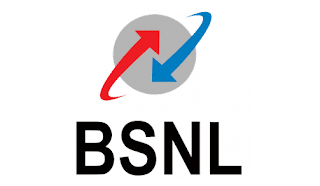 Bharat Sanchar Nigam Ltd (BSNL) has launched 4G services in India starting from Kerala. BSNL 4G services will be available at five locations – Udumbanchola, Udumbanchola Town, Kallupalam, Chemmannar and Senapathy in Kerala in the high range Idukki district and is expected to roll out to other districts in Kerala later this year. BSNL has launched three new plans of Rs. 258, Rs. 378, and Rs. 548. For now, these plans are available for Punjab and Gujarat BSNL users.The STV 259 plan gives Rs. 220 talk time, and 110 free on-net voice calls. This plan will be valid for 30 days, from the date of activation. BSNL has introduced new Plan ‘BSNL Sixer’ or ‘666’, which offers users unlimited voice with 2GB data per day to prepaid users. It offers unlimited voice call to any network and data for a period of 60 days. Back in March BSNL announced 2GB Data Daily for Rs 339 Now BSNL has now revised this STV339 plan and is now offering 3 GB data per day instead of 2 GB per day earlier. 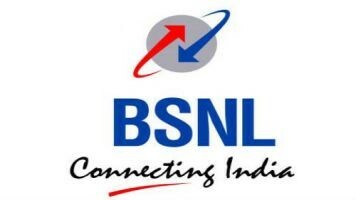 Back in March BSNL announced 2GB Data Daily for Rs 339 Now BSNL is offering 3GB Data Daily for Rs 333 for 90 Days and has also announced 3 new Plans – Dil Khol Ke bol STV 349, Tripe ACE STV 333 and Nehle pe dehle STV 395. Last week BSNL started offering 2GB of 3G Data Daily and Free Calls for Rs 339.Now BSNL is offering 1GB of free data for all the smartphone users who doesn’t use the GSM data services on their phones. BSNL has slashed 3G mobile Internet rates by about three-fourths, bringing down the cost of per GB data to as low as Rs 36 under a special pack. Bharat Sanchar Nigam Limited has launched a new special tariff voucher of Rs 26 which gives unlimited voice calls to all networks for 26 hours. The validity of this offer is up to 31st March’2017, the company said. Bharat Sanchar Nigam Limited (BSNL) has announced yet another voice calling offer for its subscribers. The state-owned telecom operator is now offering free unlimited local, and STD voice calls for three months at just a nominal charge of Rs. 439. BSNL has announced the launch of the STV 498 plan which offers unlimited 3G data. The plan, which is available to all BSNL prepaid users across India, has 14 days validity. Interestingly, BSNL has not put a data cap limit on the plan and as such would truly offer unlimited high-speed 3G data to the users. BSNL will soon launch a promotional unlimited wireline broadband plan that effectively translates into less than Re 1 per GB download cost for subscribers if they use up to 300GB data in a month. BSNL has announced a national unlimited 3G mobile data plan for Rs. 1,099 and doubled the data usage limit in some existing plans.